As of January 2016, only two of the 209 Presidents of the Member Associations of FIFA are women but the new incoming President has made changes. The first FIFA Women’s World Championship was held in the People’s Republic of China (PRC) in 1991, fulfilling a pledge made by then FIFA President João Havelange at the 1986 FIFA Congress in Mexico City. The US women took the new trophy and set new standards for their female colleagues around the world. 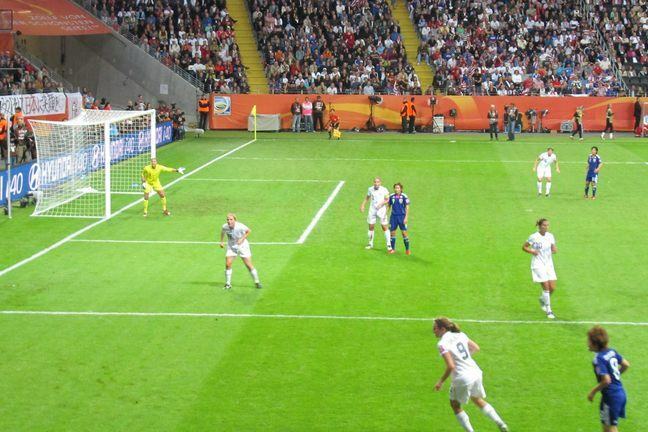 The next iterations of the FIFA flagship competition for women were held in Sweden (1995), the USA (1999 and 2003), PRC (2007), Germany (2011) and Canada (2015). We now progress to the video by Dr Grey, before discussing ways to challenge gender stereotypes.